Matt Timm's Tofu Take Down was my first food related event that inspired me to start a blog. Now hes on to throwing a Lamb Take Down featuring 20 amateur chefs creations! It's legit! 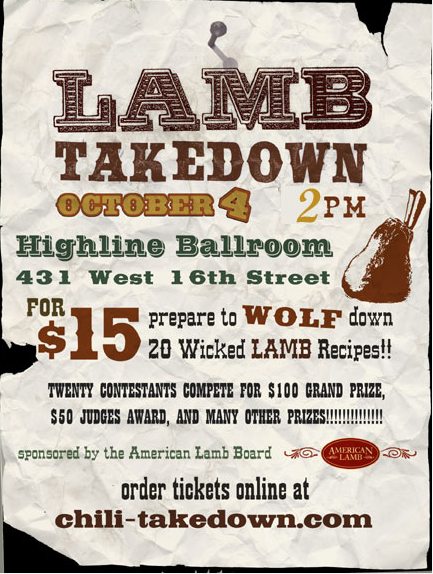 This event is sponsored by the American Lamb Board.